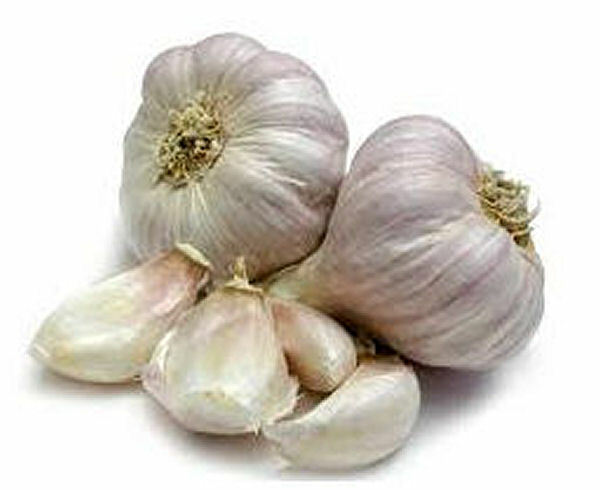 Garlic (Allium Sativum) is a plant with a very strong and bitter flavor which has been used for both culinary and medical purposes for hundreds of years. The key medicinal ingredient in garlic is allicin, which is known to have wonderful anti-bacterial, anti-viral, anti-fungal and anti-oxidant properties. Garlic can be used to treat high cholestrol, parasites, respiratory problems, poor digestion, and low energy. Studies suggest that regularly eating garlic helps lower blood pressure, controls blood sugar and blood cholesterol, and boosts the immune system. It has also been found to reduce the risk of esophageal, stomach, and colon cancer. Note that it is not recommended to take garlic in its raw form, since the enzyme necessary to produce allicin may be destroyed in the stomach before having any positive effect. For this reason, dried or powdered garlic tablets are more suitable to take advantage of garlic's immune-boosting qualities. Studies have shown that other forms of garlic such as cooked garlic, pickled garlic, and aged garlic are also beneficial. Garlic is known to have antiviral properties, which helps the body fight against allergies. Simply take one tablet of garlic supplement each day 2 or 3 weeks before the usual allergy season begins. Garlic's antibacterial properties make it a wonderful treatment for coughs and other throat irritations. Garlic may also reduce the severity of upper respiratory tract infections. Garlic is considered to regulate blood sugar levels by increasing the release of insulin in diabetics. Therefore an effective remedy is to take one capsule or tablet of garlic everyday. Clinical studies have shown that people with high blood pressure who took garlic capsules daily for up to five months lowered their blood pressure levels as effectively as patients taking prescription blood pressure drugs. A suggested dosage is 600-900mg garlic capsules once daily. Studies have shown that taking 600-900mg of garlic everyday lowers cholesterol levels and reduces arterial plaque formation by 5-18%. Therefore, an effective natural remedy is to take one garlic tablet or capsule (600-900mg) once per day. Garlic's antibacterial, analgesic, and anesthetizing properties can help cure toothaches. Simply put some garlic oil or a piece of crushed garlic clove directly onto the affected tooth and the gum for instant relief. Garlic's ability to fight infections and bacteria makes it an effective cure for warts and other skin problems. For most individuals, garlic does not cause any serious side effects. However people who are allergic to garlic or who consume it in large quantities may suffer from stomach irritation, heartburn, or flatulence. Garlic appears to be safe during pregnancy and breast-feeding. In fact, two studies have shown that babies prefer breast milk better from mothers who regularly eat garlic. Note that due to garlic's anti-clotting and blood thinning properties, people taking anti-coagulant drugs or who are scheduled for surgery should check with their doctor before taking garlic supplements. Fresh garlic and garlic powder can be bought at regular grocery stores. Garlic supplements are available in the form of tablets, capsules, extracts, and oils and can be purchased at most health food stores. Can garlic be taken with high cholesterol medicines? How long can the garlic stay on the gums? Does the gum need protection from the burning of the garlic? Is there any benefits of pickled garlic?